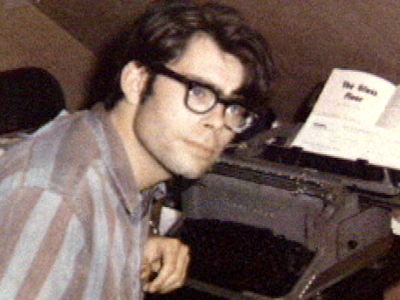 That's right, this month the amazing Stephen King is my icon of the month. The man has given us so many great characters and stories over the years and still does. Stephen Edwin King was born on September 21, 1947, at the Maine General Hospital in Portland. His parents were Donald Edwin King and Ruth Pillsbury King. He was the only natural-born child in the family, his older brother David having been adopted at birth two years earlier. The Kings were the typical family until one night when Donald said he was stepping out for cigarettes and was never heard from again. Ruth took over raising the family with help from relatives. They travelled throughout many states over several years, finally moving back to Durham, Maine, in 1958. As a child, King apparently witnessed one of his friends being struck and killed by a train, though he has no memory of the event. His family told him that after leaving home to play with the boy, King returned, speechless and seemingly in shock. Only later did the family learn of the friend's death. Some commentators have suggested that this event may have psychologically inspired some of King's darker works, but King makes no mention of it in his memoir "On Writing". Stephen began his actual writing career in January of 1959, when David and Stephen decided to publish their own local newspaper named "Dave's Rag". David bought a mimeograph machine, and they put together a paper they sold for five cents an issue. Stephen attended Lisbon High School, in Lisbon, in 1962. Collaborating with his best friend Chris Chesley in 1963, they published a collection of 18 short stories called "People, Places, and Things--Volume I". King's stories included "Hotel at the End of the Road", "I've Got to Get Away! ", "The Dimension Warp", "The Thing at the Bottom of the Well", "The Stranger", "I'm Falling", "The Cursed Expedition", and "The Other Side of the Fog." A year later, King's amateur press, Triad and Gaslight Books, published a two-part book titled "The Star Invaders". King made his first actual published appearance in 1965 in the magazine Comics Review with his story "I Was a Teenage Grave Robber." The story ran about 6,000 words in length. In 1966 he graduated from high school and took a scholarship to attend the University of Maine. Looking back on his high school days, King recalled that "my high school career was totally undistinguished. I was not at the top of my class, nor at the bottom." Later that summer King began working on a novel called "Getting It On", about some kids who take over a classroom and try unsuccessfully to ward off the National Guard. During his first year at college, King completed his first full-length novel, "The Long Walk." He submitted the novel to Bennett Cerf/Random House only to have it rejected. King took the rejection badly and filed the book away. King studied English at the University of Maine, graduating in 1970 with a Bachelor of Arts in English. That same year his first daughter, Naomi Rachel, was born. He wrote a column for the student newspaper, The Maine Campus, titled "Steve King's Garbage Truck", took part in a writing workshop organized by Burton Hatlen, and took odd jobs to pay for his studies, including one at an industrial laundry. He sold his first professional short story, "The Glass Floor", to Startling Mystery Stories in 1967 for $35. The Fogler Library at the University of Maine now holds many of King's papers. After leaving the university, King earned a certificate to teach high school but, being unable to find a teaching post immediately, initially supplemented his labouring wage by selling short stories to men's magazines such as Cavalier. 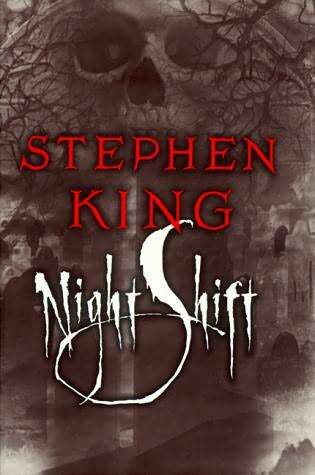 Many of these early stories have been published in the collection "Night Shift". King's next idea came from the poem by Robert Browning, "Childe Roland to the Dark Tower Came." He found bright coloured green paper in the library and began work on "The Dark Tower" saga, but his chronic shortage of money meant that he was unable to further pursue the novel, and it, too, was filed away. King took a job at a filling station pumping gas for the princely sum of $1.25 an hour. That fall, King was hired as a teacher at Hampden Academy in Hampden, Maine. He continued to contribute short stories to magazines and worked on ideas for novels. It was during this time that King developed a drinking problem, which stayed with him for more than a decade. On January 2, 1971, he married Tabitha King, a fellow student at the University of Maine whom he had met at the University's Fogler Library after one of Professor Hatlen's workshops. In the fall of 1971 King took a teaching job at Hampden Academy, earning $6,400 a year. The Kings then moved to Hermon, a town west of Bangor. Stephen then began work on a short story about a teenage girl named Carietta White. After completing a few pages, he decided it was not a worthy story and crumpled the pages up and tossed them into the trash. Fortunately, Tabitha took the pages out and read them. She encouraged her husband to continue the story, which he did. In January 1973 he submitted "Carrie" to Doubleday. In March Doubleday bought the book. On May 12 the publisher sold the paperback rights for the novel to New American Library for $400,000. His contract called for his getting half of that sum, and he quit his teaching job to pursue writing full time. King and his family moved to southern Maine because of his mother's failing health. At this time, he began writing a book titled "Second Coming", later titled "Jerusalem's Lot", before finally changing the title to "Salem's Lot" (published 1975). In a 1987 interview, he stated, "The story seems sort of down home to me. I have a special cold spot in my heart for it!" Soon after the release of Carrie in 1974, his mother died of uterine cancer. His Aunt Emrine read the novel to her before she died. King has written of his severe drinking problem at this time, stating that he was drunk delivering the eulogy at his mother's funeral. After his mother's death, King and his family moved to Boulder, Colorado, where King wrote "The Shining". The family returned to western Maine in 1975, where King completed his fourth novel, "The Stand". In 1977, the family, with the addition of Owen Phillip (his third and last child), traveled briefly to England, returning to Maine that fall where King began teaching creative writing at the University of Maine. He has kept his primary residence in Maine ever since. In 1985 King wrote his first work for the comic book medium, writing a few pages of the benefit X-Men comic book "Heroes for Hope Starring the X-Men". 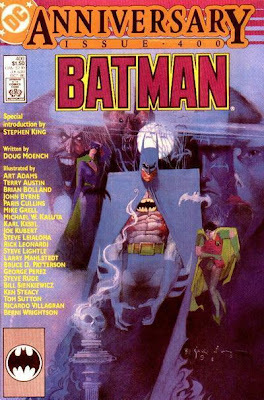 The book, whose profits were donated to assist with famine relief in Africa, was written by a number of different authors in the comic book field, such as Chris Claremont, Stan Lee, and Alan Moore, as well as authors not primarily associated with that industry, such as Harlan Ellison. The following year, King wrote the introduction to Batman #400, an anniversary issue in which he expressed his preference for that character over Superman. In the late 1970s, King began what became a series of interconnected stories about a lone gunslinger, Roland, who pursues the "Man in Black" in an alternate-reality universe that is a cross between J.R.R. Tolkien's Middle-earth and the American wild west as depicted by Clint Eastwood and Sergio Leone in their spaghetti westerns. The first of these stories, "The Dark Tower: The Gunslinger", was first published in five installments by The Magazine of Fantasy & Science Fiction under the editorship of Edward L. Ferman, beginning in 1977 and the last in 1981. The Gunslinger was continued as a large 7-book epic called "The Dark Tower", which were written and published infrequently over four decades. King's primary inspiration for writing horror fiction was related in detail in his 1981 non-fiction Danse Macabre, in a chapter titled "An Annoying Autobiographical Pause". In 1982, the fantasy small-press Donald M. Grant (known for publishing the entire canon of Robert E. Howard) printed these stories for the first time together in hardcover form with color and black-and-white illustrations by fantasy artist Michael Whelan, as The Gunslinger. Each chapter was named for the story previously published in magazine form. King dedicated the hardcover edition to his editor at F&SF, Ed Ferman, who "took a chance on these stories". The original print-run was only 10,000 copies, which was, by this time, a comparatively low run for a first printing of a King novel in hardcover. His 1980 novel, "Firestarter", had an initial print-run in trade hardcover at 100,000 copies, and his 1983 novel, "Christine", had a trade hardcover print-run of 250,000 copies, both by the much larger publisher Viking. The Gunslinger's initial release was not highly publicized, and only specialty science-fiction and related bookstores carried it on their shelves. The book was generally not available in the larger chain stores, except by special order. Rumors spread among avid fans that there was a King book out that few readers knew about, let alone had actually read. When the initial 10,000 copies sold out, Grant printed another 10,000 copies in 1984, but these runs were still far short of the growing demand among fans for this book. "The Dark Tower: The Gunslinger" was the beginning of his magnum opus fantasy epic. Both the first and second printings of "The Gunslinger" garner premium prices on the collectible book market, notably among avid readers and collectors of Stephen King, horror literature, fantasy literature, American western literature, and fans of the artwork of Michael Whelan. 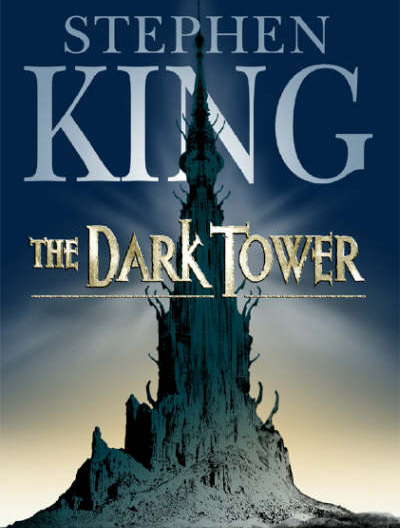 In 1987, King released the second installment, "The Dark Tower II: The Drawing of the Three", in which Roland draws three people from 20th-century United States into his world through magical doors. Grant published "The Drawing of the Three" with illustrations by Phil Hale in a slightly larger run of 30,000 copies, which was still well below King's typical initial hardcover print-run of a new book. ("IT", published in 1986, had an initial print-run of 1,000,000 copies, King's largest to date.) King had believed that the "Dark Tower" books would only be of interest to a select group of his fans, and he had resisted releasing it on a larger scale. 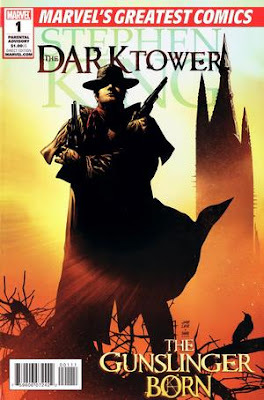 Finally, in the late 1980s, bowing to pressure from his publishers and fans who were searching for the books (at this point fewer than 50,000 of his millions of readers would have been able to own any of the "Dark Tower" books), King agreed to release "The Gunslinger" and all subsequent "Dark Tower" books in trade paperback and mass market formats. In the late 1970s-early 1980s, King published a handful of short novels - "Rage" (1977), "The Long Walk" (1979), "Roadwork" (1981), "The Running Man" (1982) and "Thinner" (1984) - under the pseudonym Richard Bachman. The idea behind this was to test whether he could replicate his success again and to his fears that his popularity was an accident. An alternate explanation was that publishing standards at the time allowed only a single book a year. He picked up the name from the hard rock band Bachman-Turner Overdrive, of which he is a fan. Richard Bachman was exposed as King's pseudonym by a persistent Washington D.C. bookstore clerk, Steve Brown, who noticed similarities between the works and later located publisher's records at the Library of Congress that named King as the author of one of Bachman's novels.This led to a press release heralding Bachman's "death", supposedly from "cancer of the pseudonym." 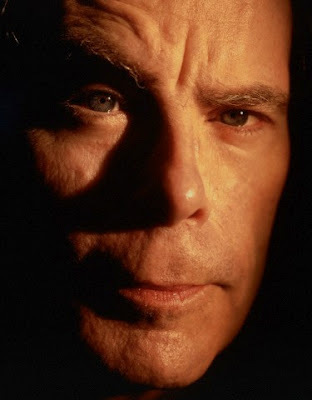 King dedicated his 1989 book "The Dark Half", about a pseudonym turning on a writer, to "the deceased Richard Bachman", and in 1996, when the Stephen King novel "Desperation" was released, the companion novel The Regulators carried the "Bachman" byline. On June 19, 1999 at about 4:30 p.m., King was walking on the shoulder of Route 5, in Lovell, Maine. Driver Bryan Smith, distracted by an unrestrained dog moving in the back of his minivan, struck King, who landed in a depression in the ground about 14 feet from the pavement of Route 5. According to Oxford County Sheriff deputy Matt Baker, King was hit from behind and some witnesses said the driver was not speeding, reckless, or drinking. King was conscious enough to give the deputy phone numbers to contact his family but was in considerable pain. The author was first transported to Northern Cumberland Hospital in Bridgton and then flown by helicopter to Central Maine Medical Center, in Lewiston. His injuries, a collapsed right lung, multiple fractures of his right leg, scalp laceration and a broken hip, kept him at CMMC until July 9. His leg bones were so shattered doctors initially considered amputating his leg, but stabilized the bones in the leg with an external fixator. After five operations in ten days and physical therapy, King resumed work on "On Writing" in July, though his hip was still shattered and he could only sit for about forty minutes before the pain became worse. Soon it became nearly unbearable. King's lawyer and two others purchased Smith's van for $1,500, reportedly to prevent it from appearing on eBay. The van was later crushed at a junkyard, much to King's disappointment, as he dreamed of beating it with a baseball bat once his leg was healed. King later mentioned during an interview with Fresh Air's Terry Gross that he wanted to completely destroy the vehicle himself with a pickaxe. During this time, Tabitha King was inspired to redesign his studio. King visited the space while his books and belongings were packed away. What he saw was an image of what his studio would look like if he died, providing a seed for his novel "Lisey's Story". In the early 2000s King revised the original book, "The Gunslinger", because he felt the voice and imagery of the original stories of the late 1970s did not seem to fit the voice of the final installment of 2004. King felt the style of the work had markedly changed during the intervening 27 years. The revised version of "The Gunslinger" was published with a hardcover limited edition, along with a prequel story set in the "Dark Tower" world called "The Little Sisters of Eluria" (originally published in 1998 in the collection Legends: Short Novels by the Masters of Modern Fantasy). In 2002, King announced he would stop writing, apparently motivated in part by frustration with his injuries, which had made sitting uncomfortable and reduced his stamina. He has since resumed writing, but states on his website that, "I'm writing but I'm writing at a much slower pace than previously and I think that if I come up with something really, really good, I would be perfectly willing to publish it because that still feels like the final act of the creative process, publishing it so people can read it and you can get feedback and people can talk about it with each other and with you, the writer, but the force of my invention has slowed down a lot over the years and that's as it should be." In October 2005, King signed a deal with Marvel Comics to publish a seven-issue, miniseries spin-off of the series called "The Gunslinger Born". The series, which focuses on a young Roland Deschain, is plotted by Robin Furth, with dialogue by Peter David, and illustrated by Eisner Award-winning artist Jae Lee. The first issue was published on February 7, 2007, and King, David, Lee and Marvel Editor-in-Chief Joe Quesada appeared at a midnight signing at a Times Square, New York comic book store to promote it. The work had sold over 200,000 copies by March 2007. The success of "The Gunslinger Born" led to an ongoing series of miniseries published by Marvel, with Furth and David continuing to collaborate, featuring both adapted material from the "Dark Tower" books and new material approved by King; it also led to a second series of King adaptations in the same format, serializing the events of "The Stand". In 2006, King published an apocalyptic novel, "Cell". The book features a sudden force in which every cell phone user turns into a mindless killer. King noted in the book's introduction that he does not use cell phones. In 2008, King published both a novel, "Duma Key", and a collection, "Just After Sunset". The latter featured 13 short stories, including a novella, N., which was later released as a serialized animated series that could be seen for free, or, for a small fee, could be downloaded in a higher quality; it then was adopted into a limited comic book series. In 2009, King published "Ur", a novella written exclusively for the launch of the second-generation Amazon Kindle and available only on Amazon.com, and "Throttle", a novella co-written with his son Joe Hill, which later was released as an audiobook "Road Rage", which included Richard Matheson's short story "Duel". On November 10 that year, King's novel, "Under the Dome", was published. It is a reworking of an unfinished novel he tried writing twice in the late 1970s and early 1980s, and at 1,074 pages, it is the largest novel he has written since 1986's "IT". "IT" debuted at #1 in The New York Times Bestseller List. On February 16, 2010, King announced on his website that his next book will be a collection of four previously unpublished novellas. The book is called Full Dark, No Stars. In April of that year, King published "Blockade Billy", an original novella issued first by independent small press Cemetery Dance Publications and later released in mass market paperback by Simon & Schuster. The following month, DC Comics premiered "American Vampire", a monthly comic book series written by King with short story writer Scott Snyder, and illustrated by Rafael Albuquerque, which represents King's first original comics work. "King's next novel, 11/22/63", was published November 8, 2011, and the eighth "Dark Tower" volume, "The Wind Through the Keyhole", was published in 2012. King's next novel is the upcoming sequel to "The Shining" (1977), titled "Dr. Sleep", scheduled to be published in 2013, and King is currently working on "Joyland", a novel about "an amusement-park serial killer". King's primary inspiration for writing horror fiction was related in detail in his non-fiction "Danse Macabre", in a chapter titled "An Annoying Autobiographical Pause". King makes a comparison of his uncle successfully dowsing for water using the bough of an apple branch with the sudden realization of what he wanted to do for a living. While browsing through an attic with his elder brother, King uncovered a paperback version of an H.P. Lovecraft collection of short stories entitled "The Lurker in the Shadows" that had belonged to his father. The cover art, an illustration of a yellow-green Demon hiding within the recesses of a Hellish cavern beneath a tombstone, was, he writes, the moment in his life which "that interior dowsing rod responded to.” King told Barnes & Noble Studios during a 2009 interview, "I knew that I'd found home when I read that book." In the 1980s he was battling a cocaine addiction. At one time his wife organized a group of family and friends and confronted him. She dumped onto the floor his trashcan, which included beer cans, cigarette butts, cough and cold medicines and various drug paraphernalia. Her message to him was: "Get help or get out. We love you, but we don't want to witness your suicide." He got help and was able to become clean and sober. A recovering alcoholic, King noted in his book "On Writing" that he was drunk virtually the whole time of writing the book "Cujo" and to this day barely remembers writing any of it. He has also revealed that he is suffering from macular degeneration, a currently incurable condition which will most likely lead to blindness. King has stated that his favorite book-to-film adaptations are Stand by Me, The Shawshank Redemption, and The Mist. His first film appearance was in George Romero's "Knightriders" as a buffoonish audience member. His first featured role was in "Creepshow", playing Jordy Verrill, a backwoods redneck who, after touching a fallen meteorite in hopes of selling it, grows moss all over his body. He has since made cameos in several adaptations of his works. He appeared in "Pet Sematary" as a minister at a funeral, in "Thinner" as a pharmacist, in "Rose Red" as a pizza deliveryman, as a news reporter in "The Storm of the Century", in "The Stand" as "Teddy Wieszack," in "The Shining" miniseries as a band member, in "The Langoliers" as Tom Holby and in "Sleepwalkers" as the cemetery caretaker. He has also appeared in "The Golden Years" and, along with fellow author Amy Tan, on "The Simpsons" as himself. In addition to acting, King tried his hand at directing with "Maximum Overdrive", in which he also made a cameo appearance as a man using an ATM that is on the fritz. King produced and acted in a miniseries, "Kingdom Hospital", which is based on the Danish miniseries Riget by Lars von Trier. He also co-wrote "The X-Files" season 5 episode "Chinga" with the creator of the series Chris Carter. In 2010, King appeared in a cameo role as a cleaner named Bachman (a reference to his pen name Richard Bachman) on the FX series "Sons of Anarchy". The Syfy TV series "Haven" is based on King's novella, "The Colorado Kid". There's no doubting Kings talents as a writer, he has given the Horror genre many great characters throughout his career and gave the genre a bit more of a respectable name as it was once something that was looked down on. His influence is phenomenal, he is certified by Guinness Superlatives (the "Book of World Records" group) as having the most number of motion picture adaptations by a living author. He will forever live on in his books, which still continue to inspire, entertain and scare to this day. I for one can't wait to see what he's got left in him to give us.